Wine had its presence on Earth since 7000 B.C. when it was first made somewhere near China. In 4000 B.C., winemaking facilities were discovered in Armenia, Iran, and Georgia. Between 1600 and 1100 B.C., the wine was transported in Mesopotamia, Assyria, and Egypt, in containers that are believed to be amphoras and some made of goatskins. In 1400 B.C., the wine was transported to ancient Israeli lands and Greece. It was imported in Northern Europe in 900 B.C. in barrels that are now widely used to import wine. Between 900 B.C. and 100 B.C., wine entered Rome and in 1100 A.D., it became popular in Germany. In the 1600s, wine gradually entered the American continent. Today, wine is enjoyed along with food all over the world. Now, with the National Wine Day being just around the corner, you can get your food and wine pairing game on. It is important to understand the fundamentals of food and wine pairing to enjoy a different kind of wines in the best ways. To be able to appreciate wine, you need to know the norms of wine pairing, the identification of basic tastes of various wines along with food, the pairing of intense dishes with intense wines, and choosing a strategy for taste. For those who want to understand the subtle art of food and wine pairing, there are a few tips that can help them do so. Once you start implementing these basic variations of different wines with different foods, you can experiment to the likes of your own taste palate. Being able to identify the basic tastes – sweet, sour, bitter, salty and umami is essential. 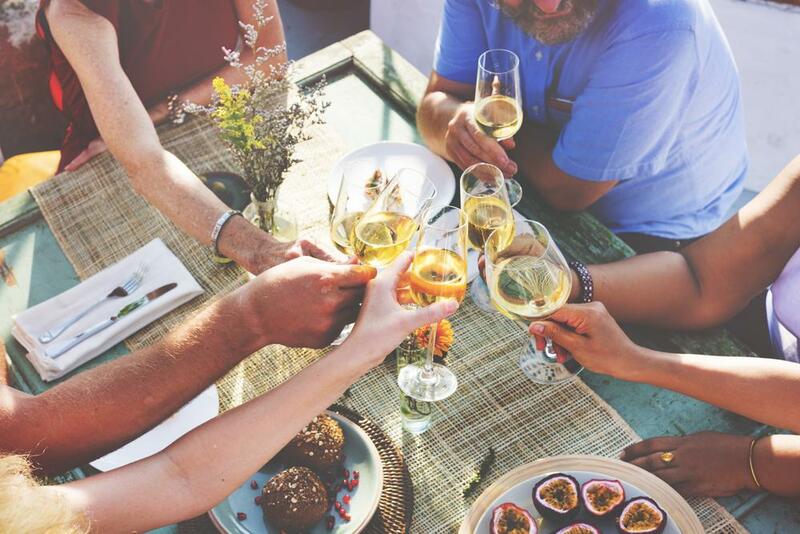 Though the number of different taste components found in food are over 20, you can only focus on six different types to master the art of food and wine pairing. There are three taste components that are not present in wines: spiciness, fatness, and saltiness. However, wines do contain different degrees of sweetness, bitterness, and acidity. These characteristics play a major role when it comes to pairing the wine with food. While all wines have all the three components, the component of bitterness is more in red wines, the component of acidity is more in white, sparkling, and rosé wines, and the component of sweet is more in sweet wines. As mentioned earlier, we only need six dominant tastes to master the art of food and wine pairing. You can look for the primary tastes in the food to understand the dominant taste and select your wine based on that. The taste component that is dominating a dish is an important factor to know. If you find all taste components in the food, try to narrow down to the most dominant taste the food has, and that is your clue to choose your wine. For example, if the dominant taste component of a heavily-seasoned meat dish is spice, then you can pair it with a red wine. While choosing a wine to complement salads, pay attention to the dressing and choose your wine accordingly. If you are served a dish that has fat, salt, sweet, and spice, focus on the intensity of every taste component. For example, if a dish has several taste components, but the intensity of sweetness is more, a sparkling wine will be a good choice. Here are some classic American food and wine pairings that you can try to have a better understanding of the same.